Fanatical abolitionist. Rebel. Martyr. Lunatic. Criminal. People view John Brown in different ways, but one thing is sure: His place was written into history at the dawn of the Civil War, during his brazen attack on the US armory at Harper’s Ferry. 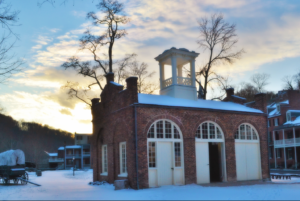 Here are some of the places that tell the life story of this fervent abolitionist. 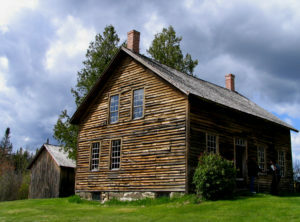 Deep in the Adirondack mountains of New York State, John Brown moved in 1849 to a simple farm to help freeborn blacks homestead. But this northerly land was harsh, as was the weather, and the plan failed. His family remained living in the farm house as conflict broke out in Kansas between pro- and anti-slavery forces, and Brown went on to pursue his abolitionist campaign. After being captured and hung following his raid on Harpers Ferry in 1859, Brown’s body was brought here for burial. It soon became a pilgrimage site for free African Americans and white abolitionists. What to see: Surrounded by a network of trails, Brown’s home, showing period belongings including some belonging to the Brown family, is open seasonally. John Brown moved to this 200-acre slice of wilderness in northwestern Pennsylvania in 1826 with his wife and three sons. He established a tannery and worked other jobs, including serving as postmaster for seven years. He was already an outspoken abolitionist, and while here he helped develop several depots in the area along the Underground Railway. Over the course of ten years, he helped transport 2,500 enslaved people to freedom. 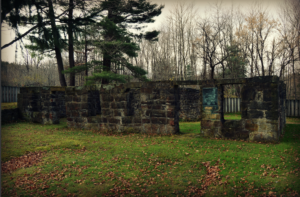 What to see: The farm is now a museum showcasing remnants of the tannery and farm. It’s closed Monday, and mid-October to mid-April. Advanced reservations are required. 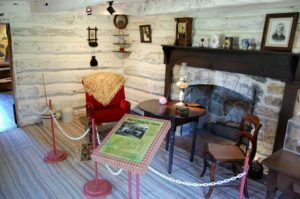 John Brown followed three of his sons to Osawatomie, Kansas, in 1855 to help fight for the free-state cause, in the heart of “Bleeding Kansas.” His half-sister, Florella, and her husband, the Reverend Samuel Adair, lived in this log cabin where Brown often visited and occasionally used as a headquarters. The cabin also served as a stop on the Underground Railroad. 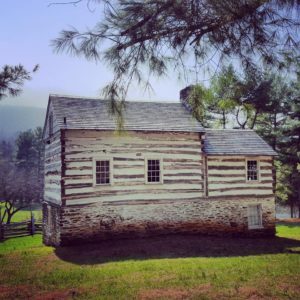 What to see: The cabin today, reassembled on its current spot about a mile from its original location, tells Brown’s story and displays both family and Civil War artifacts, including the desk that he used to write Parallels. 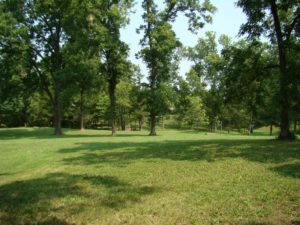 Many people believe the Civil War began on this spot on June 2, 1856. Free State forces under the command of John Brown attacked a camp of pro-slavery forces who had been hunting Brown since the Pottawatamie Massacre (in which, on May 24, 1856, Brown and his sons had killed five pro-slavery farmers in retaliation for the sacking of Lawrence). The three-hour battle at Black Jack ended with the leader of the pro-slavery militia, Henry Clay Pate, surrendering to Brown. What to see: Partially interpreted, this site offers a self-guided walking tour detailing the battle’s progression, plus occasional guided tours; check the website for dates. In 1859, in an effort to incite a slave revolt, John Brown (under the pseudonym of Isaac Smith) and his followers used this home to quietly plot their raid on the Federal arsenal, which sat several miles south at Harpers Ferry. By that summer, 21 members of the Provisional Army of the United States had arrived, one or two at a time. Hidden in the attic by day, they trained, studied, and prepared for a raid on the arsenal. On October 16, Brown called together his men, said a prayer, outlined the plan of attack, and stated: “Men get on your arms; we will proceed to the Ferry.” They were ready, heading out the door on their ill-fated attack on Harpers Ferry. What to see: The Kennedy Farm House has been completely restored, and tours are available. What to see: Today, you can visit the John Brown Wax Museum, which takes you through Brown’s story leading up to Harpers Ferry with a series of spooky-looking mannequins. 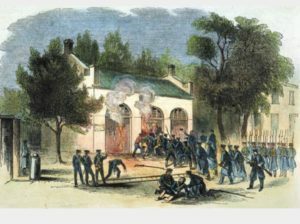 The U.S. Armory and Arsenal experienced destruction during the Confederate occupation of Harpers Ferry in 1861. The fire engine and guard house—where John Brown and several of his followers barricaded themselves—are all that remain intact; it’s been restored as a small museum.